I just now read a bit more through the FNB FAQ and I have to say I’m thrilled to collaborate more! It seems that we really share all of the basic ideas; not only the volunteer saving and unconditional sharing of food but also the perspective of wanting to empower people to get active for positive change and to take matters into their own hands without waiting for somebody to give them permission. It’s really great to realize that there are so many allies already out there! The foodsaving worldwide movement consists of different groups and organisations - which I guess FNB is part of… - that act independently but in the same set of values. 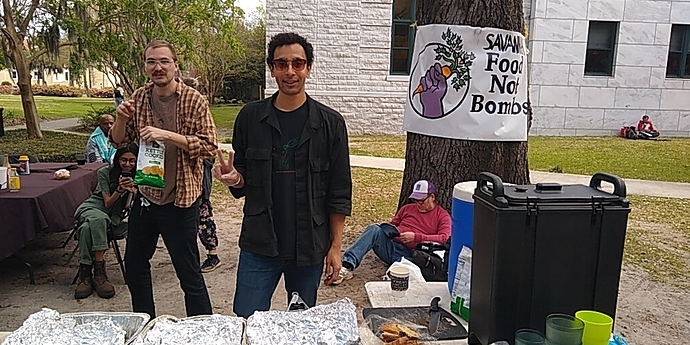 We all try use the direct action approach to save food from being wasted in that we build cooperations with stores, restaurants, bakeries, etc. That food then is either eaten by ourselves or shared with whoever can make use of it. We also maintain public food-share points were people can bring or take food. The exact setup is different in every city and every group, but this is the general idea. The biggest player is foodsharing in Germany which had a lot of media coverage over the years and inspired many more people to copy the system of saving food via cooperations. Its software is also the prototype we based Karrot on - even though there are many things which are different between the two. As I see it @nicksellen and @tiltec are mostly busy with the software bit, whereas I do a lot of administration, some development and some local foodsaving. I guess most of the other people in this forum are part of a local foodsaving group in a city somewhere, like e.g. Gothenburg (Sweden), Warsaw (Poland), Quito (Ecuador), Moscow (Russia) or Taiwan. There’s also some German foodsavers here, but since those are mostly organized via foodsharing.de it’s not many. I hope this was a bit informative for you! I have created a Savannah FNB group in karrot.world. Everything went really smoothly! Though I do feel a bit lonely having left the more populous playground… haha. I will work on having local members join the online platform too. What have you found as the best technique for bringing other IRL group members onto the karrot platform? To be honest the others are pretty comfy with Facebook - which is a shame. However, I think the group will be excited by some of the administrative features that karrot offers. I’ll be able at least to get a few core members to check it out. In the meantime, I will maintain the karrot group myself to get familiar with the software. Yeah FNB is pretty awesome. I’ve learned A LOT from a few experienced members who have used their skills to help folks in hurricane-devastated Puerto Rico and regions of the US. Most likely these aid skills will come in more demand as global warming makes the weather even more crazy, not to mention as economic inequality increases… So I feel good that I have skills that will be able to help out. Thanks for sharing a bit about the German and global foodsharing community! I’m really excited to learn more. I really enjoy that this platform is international. Sadly my Spanish and Italian is atrocious, 但我能说中文. Perhaps now would be a good time for me to learn some survival German. I will try to share a photo or two of our weekly activities on this foodsaving.world platform. I look forward to seeing and learning about other folks experiences! Thanks for accepting me into your Karrot group! I’m already looking forward to seeing it grow! About facebook: @bruno once wrote a nice article about why it makes sense to organize outside facebook and how it can work. Afaik they were quite successful with getting away from facebook in Gothenburg. Here you can read the article. What keeps me going is that we have built a relationship with a small part of the houseless community that stays near the area where we share food on Sundays. From my experience, these sorts of relationships created in anarchic systems are very fragile, it would just take us not showing up for one or two weeks and we may cause serious damage to the community’s trust in us. How do you go about recruiting? Or expanding membership? Hey @wutougui, just wanted to follow up - how’s it going for FNB Savannah? Did you get some of your volunteers to try out Karrot with you? How were the reactions so far? Hi @tiltec! Thanks for following up. I haven’t been on the forum for a bit because I was picking up a lot of tasks for the past couple weeks. Though things are stable here now with a core group of about 8 folks. I’m enjoying the discussion that you all are having on this forum when testing out new features. I feel strongly about the importance of an ethical internet and was able to find Karrot through conversations I’ve had on SSB. The other folks I work with here in Savannah are super progressive in all aspects of their IRL realities but do not feel as strongly about the systems they interact with regularly in their online realities. So, even though I have introduced them to the Karrot software they lack the necessary curiosity to explore it on their own. I am continuing to explore, learn and create with independent, decentralized software to perhaps help show others here an alternative to the current monopolistic social platforms and eventually spark some interest, but it’s tricky to compete with these monstrous FB Insta monopolies for social platforms. To add, I think I remember hearing that in Germany, there was an app that gave virtual currency to those collecting/donating food. The currency could then be redeemed at participating stores to purchase goods and services. Is that true? I know that implementing such a system is possible by creating a dapp built on ethereum or some blockchain. I’d be curious for examples of how providing virtual currency to actors based on their community actions would work out in practice. People who collect and share food earn virtual community currency for doing so. They share the food with local musicians for free during the day. Later that night, they could use their virtual community currency instead of dollars to pay the entry fee to watch the local musicians perform at a house show. In practice I’m sure this gets very messy… but it’s something I’ve been thinking about and would like to experiment with eventually. with 8 people in your core group, there’s possibly no strong need to use Karrot as organizing tool. Maybe all you need is a group chat and a place to advertise events to outsiders? I haven’t heard of it. Why would shops want to participate in this system? Doesn’t it mean they would give out goods and services without monetary reward? I need to investigate the idea of a “virtual currency” more. I think the big question is how can a currency unit get created? Yes tricky stuff. I’m just exploring at the moment. From my understanding one way a currency can be created is with smart contracts built on the Ethereum block chain. Find a tutorial here. The big question for me is how the currency unit can get used and is it realistic to try? So, if an independent group can create its own virtual currency it can better assign value for the services it provides. If the wider community also adopts this currency, this system can provide incentives for community members to develop professional services that are independent of repressive governments and independent of brutal capitalist economies. It could be a step towards a workable system of anarchy, in my opinion. A paper by Vitalik Buterin has ideas for systems like this. I was also very interested in the development of Civil, a news platform that used blockchain-based tokens instead of ad-revenue to support the platform and give editorial consensus. I look forward to seeing how Karrot develops! You all are doing great work and I would love to help in any way. Also consider the role of local physical currencies - e.g. https://transitionnetwork.org/stories/has-related-content/ - some quite good stuff going on, quite a lot in the UK now. I never used one myself though. Or, for some more ethically/community minded blockchain-type solutions checkout https://fair-coin.org/ and https://www.rchain.coop/ (or maybe https://holochain.org/) - personally, I’m far from convinced bitcoin / ethereum offer enough differentiation from existing neoliberal systems. Although I don’t tend to explore these type of solutions very much as I think the problems are more on the human level than the technology level - I think our existing technologies are likely not the bottleneck for a better/fairer world, and sometimes function as a distraction. personally, I’m far from convinced bitcoin / ethereum offer enough differentiation from existing neoliberal systems. Thank you for sharing. I agree. I recently dug a bit deeper into blockchain technology applications and saw that I (like many) overestimated the technology. Blockchain, is not a panacea and now I wonder if adding increasing layers of technology to social interactions is the correct method. Perhaps a balance can be held in some way? Like, I feel the discourse you developers are having about implementing checks and fairness in the Karrot app userbase is more healthy. The discussions are more humanistic than writing up an ironclad smart contract that is judged by an algorithm. One example of a real-world application that shows some pros and cons of blockchain is the idea of sovereign identity built on block chain. Among other cases, it is used in a Syrian refugee camp and in the homeless population of the US city of Austin, Texas. So then, maybe trusting too much in the block-chain business is just another way to push real change further down the road, in favor of some kind of shiny techno-medicine. Anyway, I do think sovereign identity has potential. The following link is a list of dozens of projects working on this: https://github.com/peacekeeper/blockchain-identity. Is it finally warming up in Germany? To add, I think one of the motivations of my message from two weeks ago was that I was feeling really burnt out from the food sharing activities. I have taken a break from preparing and sharing for the past two weeks to focus on myself. I’m feeling a bit of financial pressure lately and feel it’s hard to spend time on my community when I need to spend time figuring out some job stuff. I guess that’s why I wish there is a system/network that can help balance the input and outputs volunteers tend to perform. I am curious to hear if burn out is a thing where you are? It seems like you have a lot of folks to share work, but sometimes it still might get a little overwhelming, no? If Building Blocks can’t be adopted there, then aside from making the WFP’s operations a bit more efficient and transparent, it will remain little more than a centrally controlled database dressed in a costume of distributed, decentralized trust. and are able to add two additional verified users to their accounts, like a service worker or an emergency-care provider, should they be locked out. I would rather put focuses on human solutions to not requiring so many official documents in the first place - I sometimes find it hard myself to present as an official person as I might have a utilities bill, or a regular income, etc… even though those things aren’t actually needed to be used, they are just things that work for most/many people, it’s going to be “fun” being an edge case in this future we’re building! The human solutions I think can be very effective - instead of requiring a specific certificate of education, a group of empowered people can be quite capable of working out if somebody really has the skills they claim to have. And perhaps by requiring so many official documents all the time it just pushes the corruption back to those which can circumvent it (e.g. US college admissions scandals, or fake documents being traded using bitcoin). I think this is one of the really tricky things to deal with in alternative/activist communities - the “normal” world at least has expensive psychiatrists and therapists to deal with some of it. I think self and community care is not to be underestimated in movements fighting for moral/social/climate justice. This microsolidarity proposal seems a good effort in that direction. …and it is actually me in the photo! Yes, I agree. Adding these layers of technology is not really addressing the structural problems at the heart of this society… Would be much better to see folks coming together in real life to care for each other instead of blindly trusting technology to solve the problems. Nice to see that you get a chance to get away every now and then. What body of water is that in the picture? 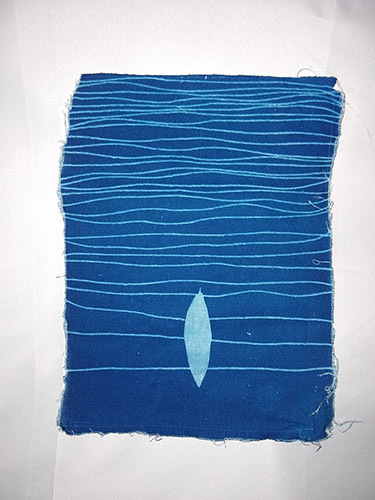 For myself, I have started making cyanotypes. I enjoy playing with found objects in the sun. I hope to start a small flower garden to create natural dyes soon. What body of water is that in the picture? It’s off the east coast of Scotland, just south of Aberdeen (on my way to a rethinking economics conference). Who issues the currency and through which act is it issued? How can the currency be spent and valued by the participants? Who has the power to decide on the above questions? For a proper currency design I’m more convinced of mutual credit systems, that can be issued by participants rather than a currency based on scarcity (basically any cryptocurrency and fiat money). Famous examples are LETS, which is a mutual credit system on a more individual level, and business mutual credits systems like WIR in Switzerland. is it realistic to try? For sure! There are lots of real examples out there! The information you shared is very exciting! I will read through and digest it a bit. I have learned the hard way how important incentives are for an idea to have lasting impact. I am interested in how to do this as simply and efficiently as possible. One systemic issue that is important to address in Savannah (and cities all over the world, I believe) is gentrification, and the inequality that it creates. Another systemic issue is food deserts, where in the US it is very difficult for citizens living in economically disadvantaged communities to access fresh fruits and vegetables. (I feel this is more of a uniquely American problem and it’s horrible…). I am drafting a rough plan for an app/tool that can help communities address these issues. I’ll share here in the next couple weeks and would love your feedback. 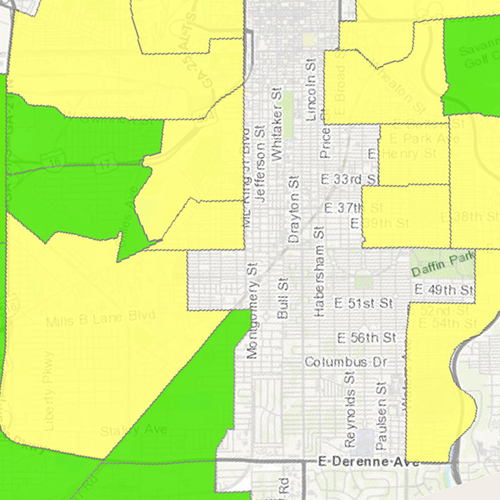 I just wanted to share how serious the food desert situation is here in my city.